KRISP News: CD4+ T-cell count useful to assess antiretroviral therapy response in HTLV-1/HIV patients? CD4+ T-cell count useful to assess antiretroviral therapy response in HTLV-1/HIV patients? The authors compared the CD4+ T-cell counts and HIV-1 RNA viral loads of 383 patients who were either mono-infected with HIV or co-infected with HTLV-1/HIV. They confirmed that co-infected patients were more likely to have higher CD4+ T-cell counts prior to treatment initiation with no immunologic benefit--a result that has been well documented in scholarly literature. 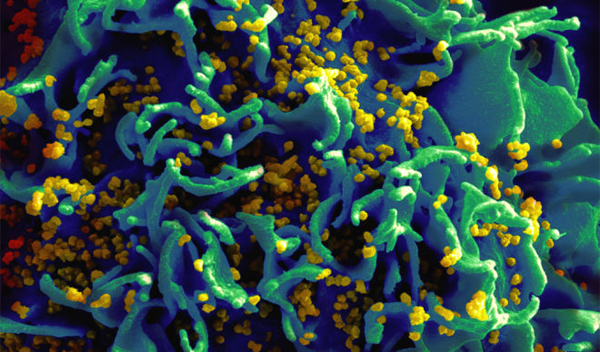 Any differences in the CD4+ T-cell counts were expected to disappear once the co-infected and mono-infected patients began to fail their antiretroviral therapy (ART) regimens. Instead, the authors found that HTLV-1/HIVco-infected patients continued to have elevated CD4+ T-cell counts, on average 115 cells/uL higher than their HIV mono-infected counterparts, over the two-year study period. But when the authors compared the HIV viral loads over the same period, they could not find any statistically significant difference between the two groups of patients. HIV viral load testing is currently recommended by the World Health Organization (WHO) as an accurate strategy for monitoring a patient's response to ART. Nevertheless, CD4+ T-cell testing is often used in resource-limited settings because it is perceived to be more affordable. The continued use of CD4+ T-cell testing has implications for the clinical management of HIV-positive patients. Results from the present study suggest that HTLV-1/HIV co-infection could delay the identification of patients who are failing ART with adverse consequences. Against this background, recent scientific research has begun to show that HIV viral load testing can be both an accurate and cost-effective treatment monitoring strategy. The present study was based in the KwaZulu-Natal province of South Africa and used patient data from a poor and rural community at the epicentre of the global HIV epidemic. Using nearly full-genome HIV sequence data improves phylogeny reconstruction in a simulated epidemic. Yebra G, Hodcroft EB1, Ragonnet-Cronin ML1, Pillay D2, Brown AJ1; , Scientific Reports (2016), 6:39489. doi: 10.1038/srep39489.